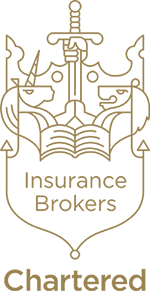 As specialist business insurance brokers based in Sandbach we are ideally placed to deliver a fast, cost effective and personalised business insurance service designed to meet your needs and offer you the protection that you require for your business. Our Sandbach business insurance team are on hand to discuss your requirements over the phone or to meet you in our offices on Congleton Road or at your own business premises to help you to achieve the level of protection that you need for your business. Whilst we are a locally based broker, you will also benefit from our broader expertise and the excellent deals we have available to us as a result of our broader based internet and on-line business. Our business insurance portfolio of products includes a broad range of products tailored to being highly competitive in a variety of different markets and catering for the needs of businesses of all sizes from sole traders to much larger organisations. Everyone in business faces risks on a daily basis some of these risks come from the normal business and commercial considerations and it is in the expertise of the businessman that you manage your business to both manage and thrive in spite of the commercial challenges that may be upon you. Other risks are, at least to some degree, outside your control and even with the best risk management cannot be completely removed as a threat to your business. 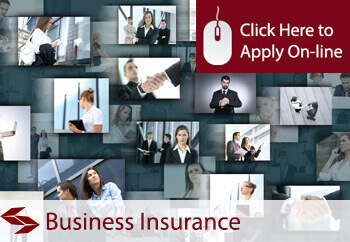 Business insurance policies are there to help you survive the impact of these risks, whether they be the loss or damage of the physical assets of the business or expensive legal action taken against the business in respect of its legal liabilities. Other than for the limited number of compulsory insurance requirements, including motor and employers liability, the business insurance that you choose to buy is very much a matter for you. In order to make this decision, you need to have all the information to hand and we can help you with this by discussing your business with you, identifying the areas where insurance can play a part in securing your business and providing you with the best possible terms for that protection. Perhaps overlooked by many, making sure you know what the business insurance options are for your business is a key point of managing your business properly. You may not wish to buy every class of insurance that is available to you but you should be aware what the options are so that you can make a qualified decision on whether to accept those risks yourself or to transfer those risks to an insurance provider. Call us today for a fast and cost effective quotation or call in and see us to discuss your requirements.